This May, at the BlackBerry Jam in Orlando, RIM plans on giving away 2,000 BlackBerry 10 flavored handsets to developers. The BlackBerry Jam will run from May 1st through the 3rd alongside the BlackBerry World Conference. The idea is to get the new OS in the hands of developers and these handsets are designed specifically to allow the code jockeys to write applications for the new software. According to Alec Saunders, RIM’s vice-president developer relations, these devices will not have the same looks and navigation as the units that eventually will be sold to consumers. Saunders says that distributing these phones is important to RIM's future. This is a tool the developer can use to get a jumpstart to build applications that will be great on a BlackBerry 10 device in the future," the executive said. Is BlackBerry 10 RIM's last chance? 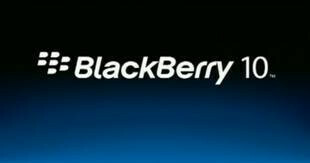 Saunders said that RIM is holding back on revealing what the BlackBerry 10 OS will look like in order to create a buzz. Company spokeswoman Victoria Berry, said on Friday that the new BlackBerry 10 handsets will be launched in the latter part of 2012. This is a very important launch for the Canadian based company as RIM has not been able to be competitive with iOS and Android. RIM is hoping that giving the test devices out to the developers will result in a number of new applications that might be able to drive sales. A January survey from Appcelerator and IDC showed that 89% of the developers responding to the survey are "very interested" in developing for the Apple iPhone. That figure is 79% for Android models and drops sharply to 16% for BlackBerry models. The new BlackBerry 10 handsets might also be able to take advantage of the 10,000 apps already available for use on the BlackBerry PlayBook tablet. That device uses the QNX OS that BlackBerry 10 is based on. Saunders says that his goal is to have every single PlayBook works on the BB10 flavored smartphones. Giving away the test handsets in just a little over 4 weeks from now is a sign that RIM does have a timeline for the launch of its BB10 smartphones and that the new phones are on track to be released before the end of the year. Previously, a picture allegedly showing the UI of the new operating system was revealed. In addition, it is believed that RIM is currently working on just one model using BlackBerry 10.
stick a fork in RIM. they are done. They are done! Lost almost all market share plus government contracts. now they are trying to compete in a three horse race (IOS,ANDRIOD,WP7) the only thing is they are WAY behind all of them...IOS and ANDROID are clearly winning but with WP7 launched just over 19 months ago with the backing of 2 powerhouses MICROSOFT and NOKIA gaining ground slowly but surely RIMM is too little too late. They're only saving grace before they dissolve is going to be licensing BBM pins to IOS, ANDROID and WP7. Former Blackberry User, it's. not about hating, it's. about making a phone that does more than corporate email. Loyal blackberry customers have patiently waited for a better device which never came. So now we are suppose to get excited about a phone, new os that does not have a release date. I really hope they do well with the BB10 devices. I don't understand why so many people want a company to "die" or be "done" with. That's just stupidity in my opinion. If iOS and android weren't in such a heated battle, you wouldn't have all your super precious phones to play with right now. Competition equals better devices. I wonder how long it will be before photos of the developer devices start to leak out? The challenge for RIM is to start shipping. The 9900/9930 devices are battery killers. A friend whose employer issued 9930s is lucky if they can get through the day without having to re-charge. They have started carrying a spare battery in case the battery dies before the day is out. And then there are the random reboots. If nothing else, RIM needs to have another story to tell as opposed to having to respond to complaints about the 9900/9930 handsets.